The Social Security Administration is preparing to crack down on fraud among hundreds of administrative law judges to ensure that disability benefits are awarded consistently. Read more. The federal government may have paid $1.29 billion in Social Security disability benefits to thousands of people who made too much income to actually qualify, according to a U.S Government Accountability Office (GAO) report obtained by NBC News. The GAO report, which will be released Sunday, said its estimate of “potentially improper” payments may be understated. Social Security Administration officials said they plan to investigate the claims and recoup any improper payments. Read more. The Social Security Disability Insurance trust fund is projected to be depleted in 2016. If Congress does not act on Social Security reform, it would translate into a 20 percent cut in benefits to 9 million disabled people plus another 2 million dependents, according to Reuters columnist Mark Miller. To shore up the SSDI, Congress could reallocate a portion of payroll tax revenues from the Social Security retirement program. However, the disability program has been the topic of heated debate in Washington, with many accusing the SSDI of falling victim to fraud and out-of-work baby boomers taking advantage of the system. Read more. On Friday, March 22, NPR and Planet Money started a one-week series of stories on the growing number of people with disablities and therefore are unable to work. You can find a link to the main story above along with the first installment of a radio piece by Chana Joffe-Walt as heard on All Things Considered here. 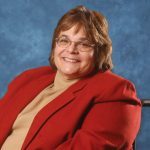 Joffe-Walt helps explain the potential reasons why an increasing number people are considered by the government to be too disabled to work, both through statistics and various charts, as well as through the stories of people she met throughout the country while reporting. Bank of America has settled a lawsuit brought by customers with disabilities who were seeking loans on home mortgages between May 2007 and April 2012, The Washington Post reported Friday. The customers who filed the lawsuit would not have been required to pay higher interest rates on mortgage loans or face any other increased financial burden beyond that of non-disabled applicants. Rather, the plaintiffs claimed that they were asked to provide documentation regarding Social Security income not required of other applicants, the story states. As the article details, Bank of America has faced similar allegations of discriminatory loan practices in the past. In this case, however, the bank says they were not breaking federal law and that the settlement decision was made only to mitigate litigation expenses, according to the article. Are there judges in your area who rarely deny disability claims? Economic policy reporter Damian Paletta had a front-page story in The Wall Street Journal last week that quickly stirred outrage and prompted investigations. He reported on a Huntington, W.Va., judge who has approved Social Security disability benefits in 100 percent of the 729 cases appealed to him in the first six months of fiscal 2011. In the previous fiscal year, he decided 1,284 cases and awarded benefits in all but four.